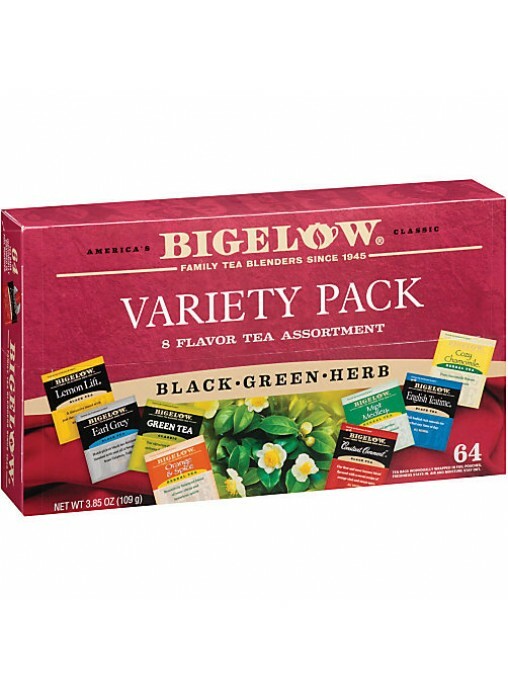 -Give the gift any tea lover would enjoy with this herbal tea gift box. -With a variety of flavors to try, your recipient is sure to find a fresh, new flavor to savor or rekindle his or her love for an old favorite. -Includes 8 bags each of 8 flavors. -Includes Constant Comment®, Mint Medley®, Earl Grey®, Cozy Chamomile®, English Teatime®, Lemon Lift®, Orange & Spice®, Green Tea.